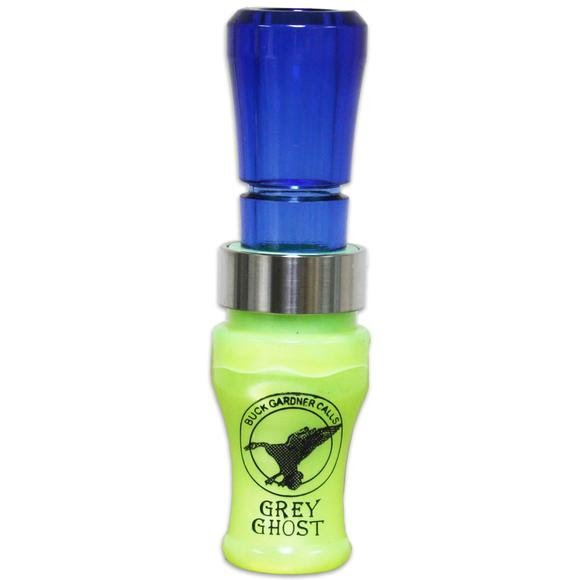 The Buck Gardner Grey Ghost is designed with a shorter barrel and shorter insert geared for more advanced goose callers. It produces lighting fast double-clucks and has a higher pitch for loud, ringing honks that stand out from the crowd when hunting pressured birds. The broken-in guts and shaved reed are super-responsive and pick up with minimal air pressure.